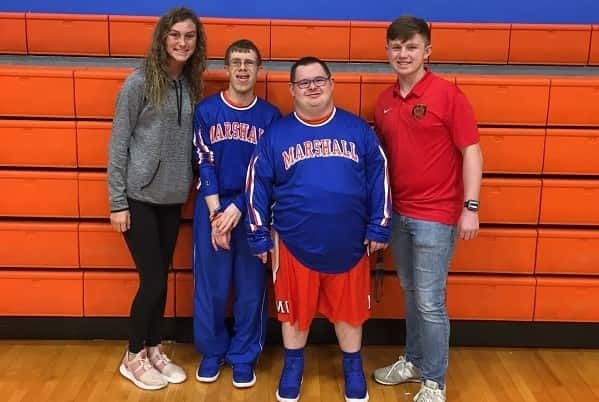 Marshall County’s Special Olympics basketball teams were recently featured in HYPE videos filmed and directed by Mr. Donnie Heath’s Media Arts class at Marshall County High School. Click the links below to enjoy the videos! 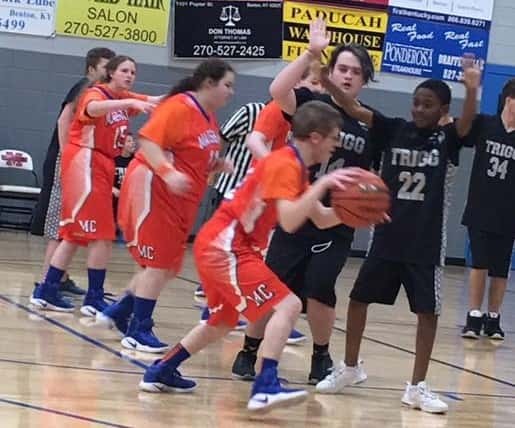 Special Olympics basketball was in action Dec. 18 at Marshall County against the undefeated Trigg County Wildcats. The Wildcats started out hot with scoring from Anthony Grey who had all 20 of their first half points, leading the Marshals 20-4. Grey sat out the third quarter and Marshall County took advantage with points from Daniel Austin, Edward Burkeen and Zach Haskins, cutting the margin to 22-18. With Grey back in the game, the Marshals were only able to score two points in the fourth quarter, falling to Trigg County 30-20. Grey led Trigg County with 20 points. The Marshals came from Daniel Austin 8, Edward Burkeen 6, Jennifer Irvan 2, Zach Haskins 2 and Chris Capone 2. The teams will be off over the holidays and back in action Jan. 3 when Marshall 2 plays Murray Blue at MCHS at 5:30.